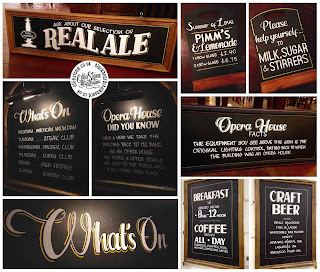 Vintage Inns pubs, cafes and Italian eateries. 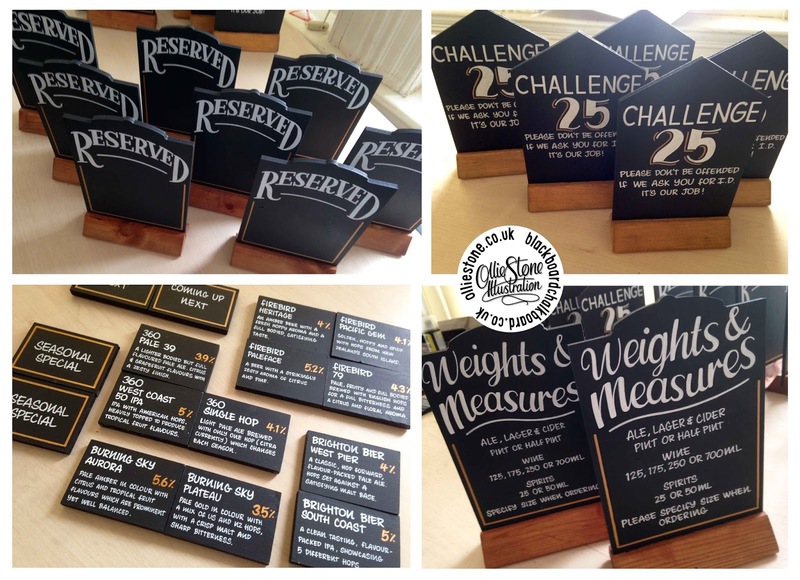 Chalkboard signage for My Slice Pizza in Brighton. 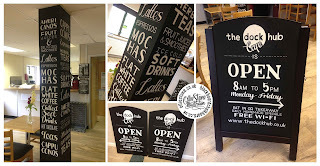 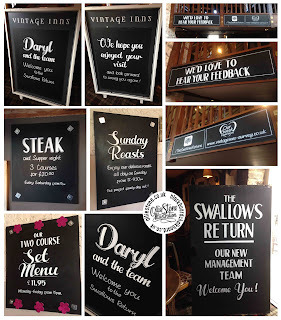 Various sized chalkboards for Vintage Inns, The Swallows Return, near Worthing. Chalk art for The Dock Hub Cafe in Hove. 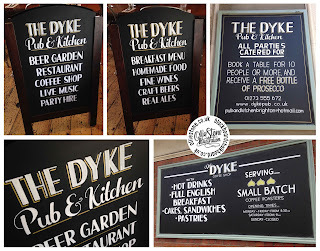 Various chalkboards for The Dyke Pub and Kitchen, in Brighton. 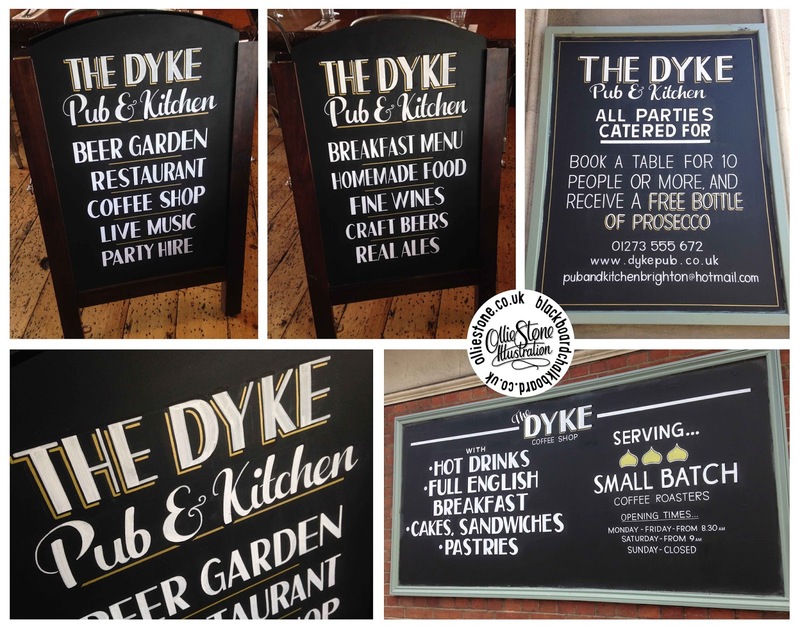 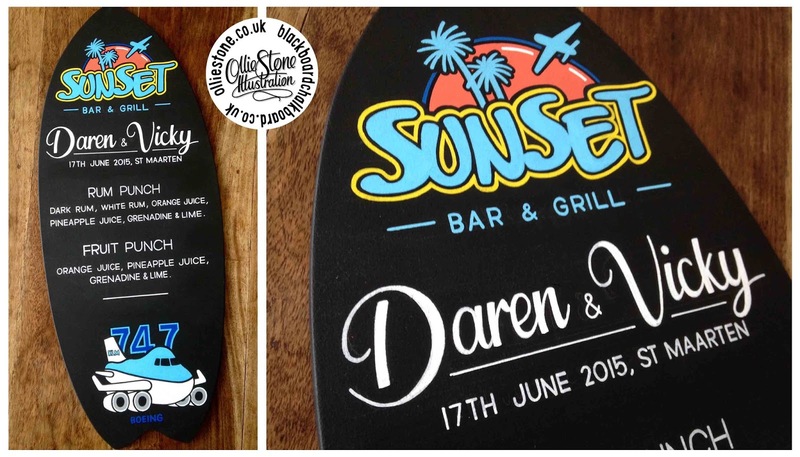 Summertime chalkboards, blackboards and pub signage. 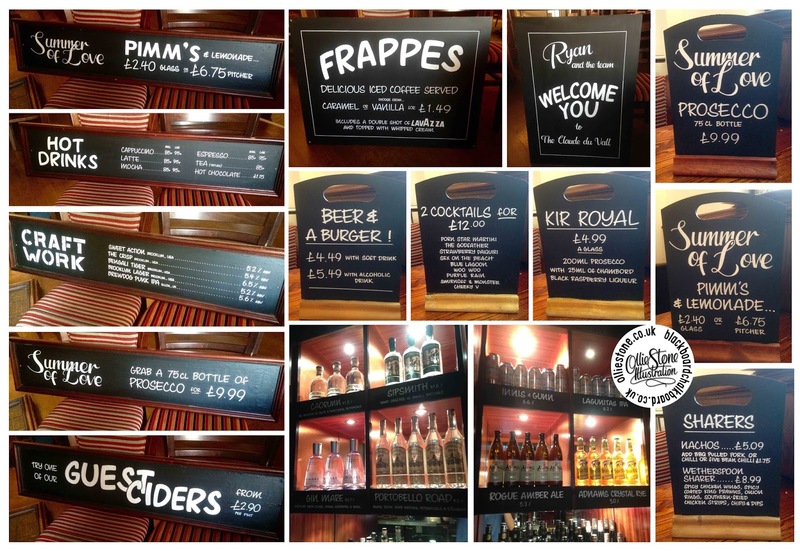 Various blackboards for JD Wetherspoon's, The Claude du Vall in Camberley. 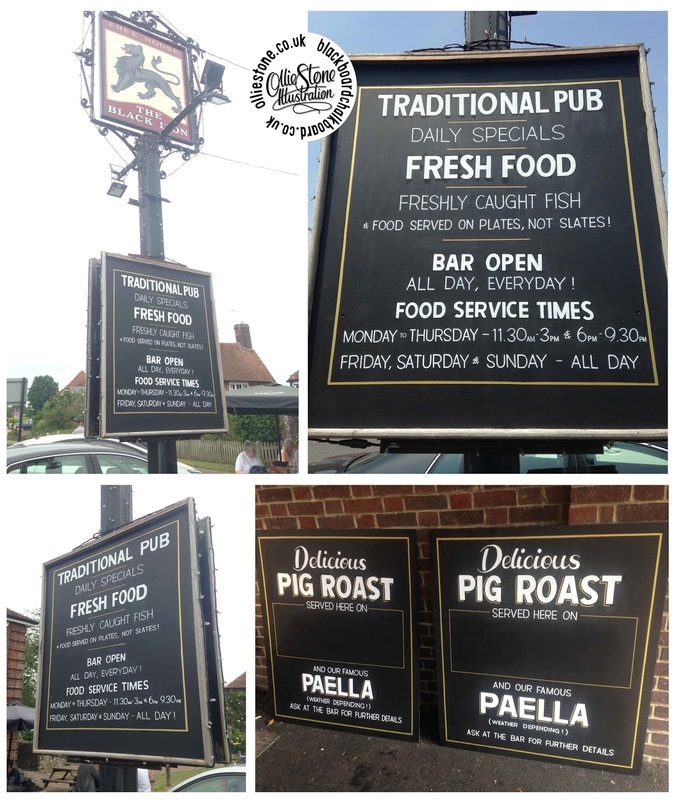 Large, outdoor blackboards and signage for The Black Lion in Appledore. 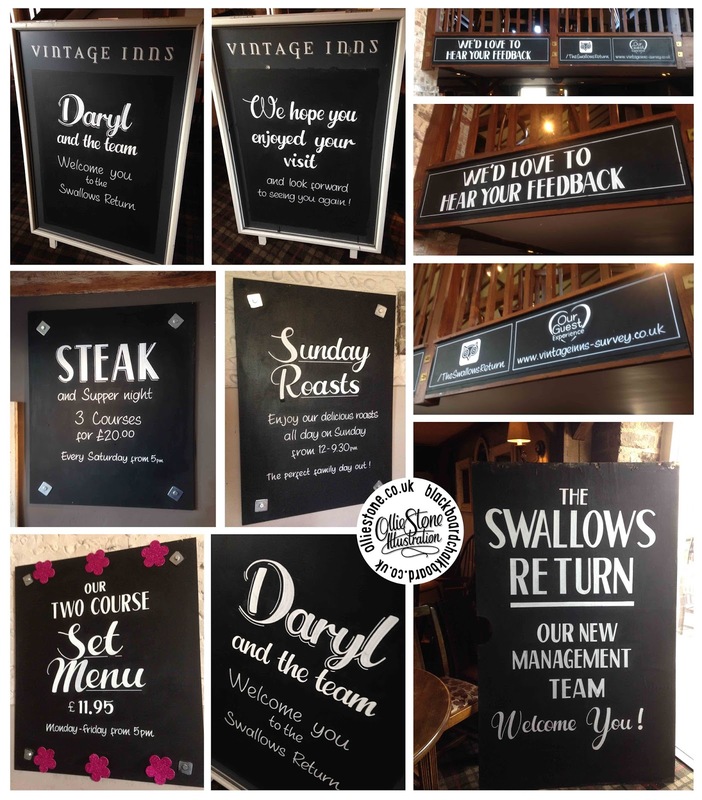 Various blackboards for JD Wetherspoon's, The Grapes in Sutton. 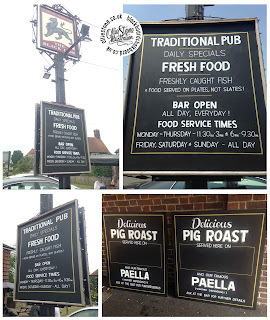 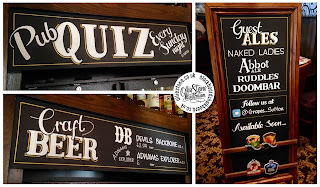 Various blackboards for JD Wetherspoon's, The Prince Arthur in Fleet. 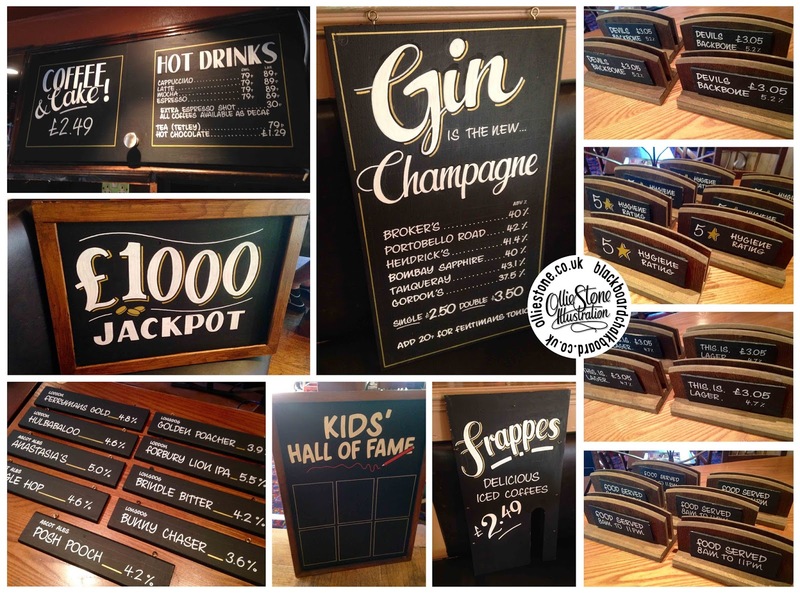 Chalkboards, blackboards, signage and typography design. 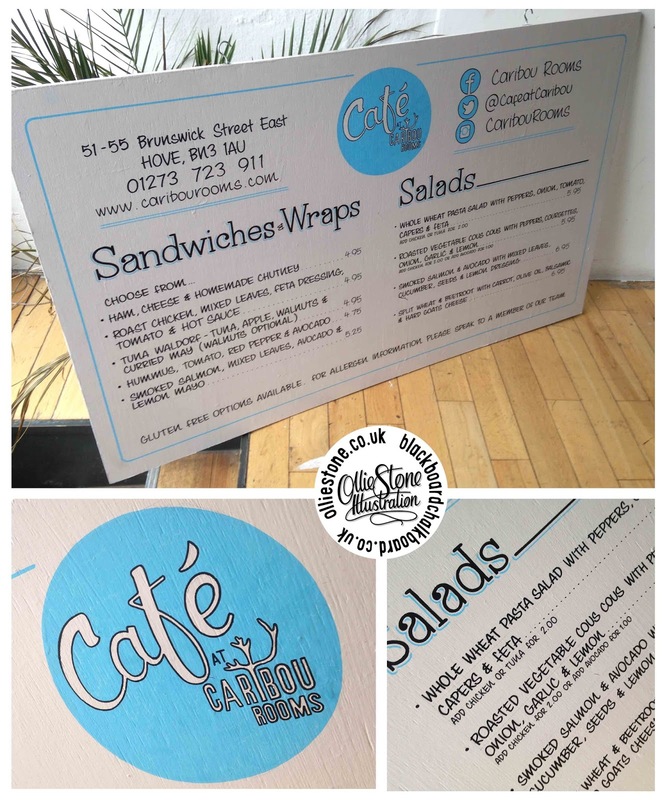 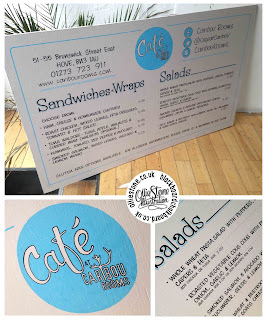 Whiteboard (permanent) menu for the Caribou Cafe, Hove. 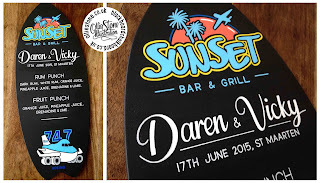 Privately commissioned wedding drinks menu. 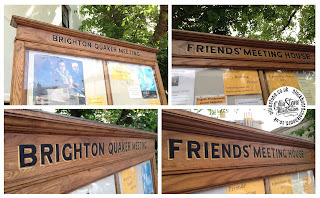 Traditional outdoor signage for Friends' Meeting House, Brighton. 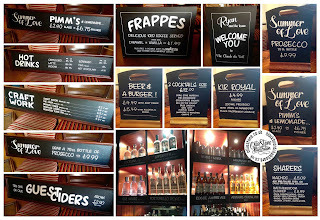 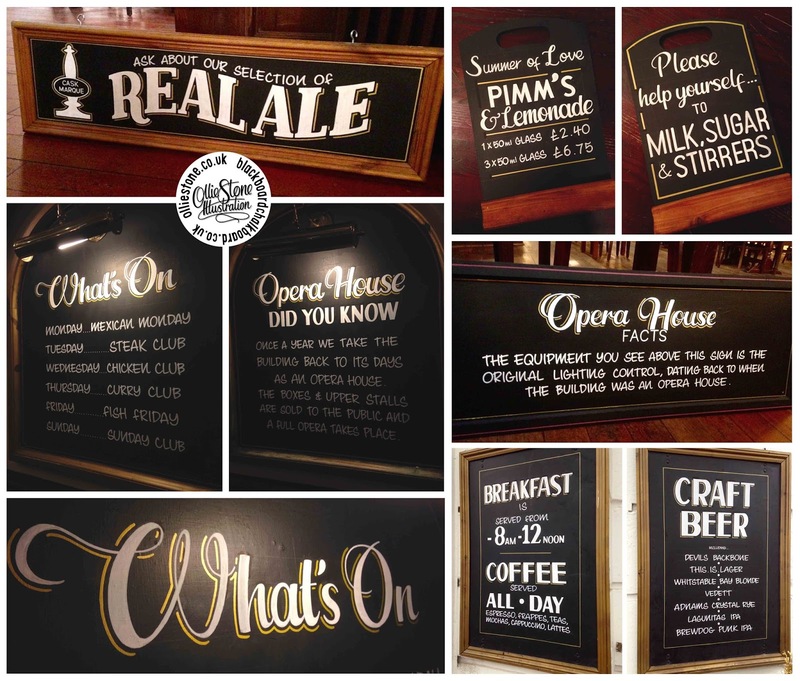 Various chalkboards and signage for JD Wetherspoon's, Opera House, Tunbridge Wells. 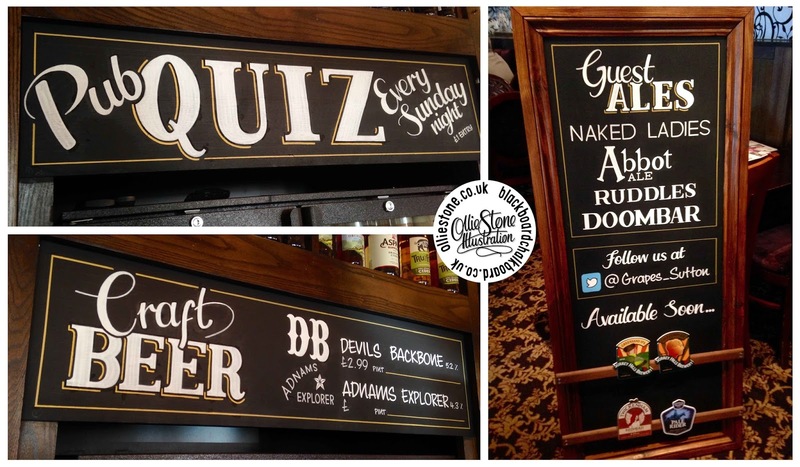 Various chalkboards and signage for JD Wetherspoon's, The Oxted Inn, Oxted. Table top, tombstone and ale tasting note boards for The Seven Stars, Brighton. 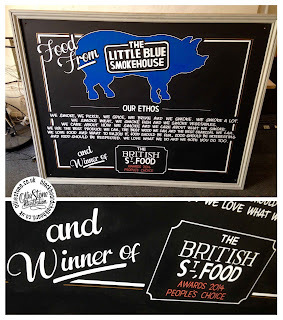 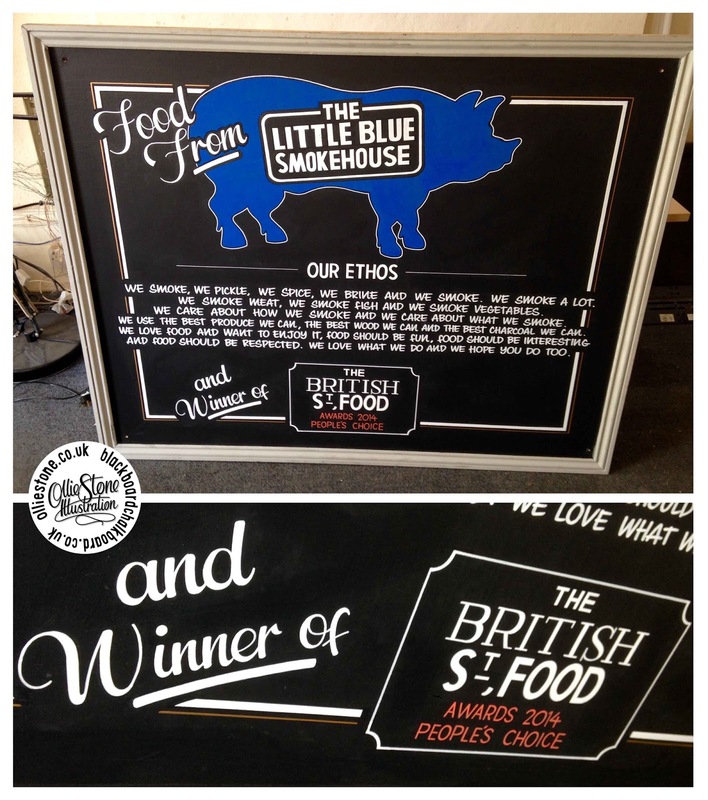 Large chalkboard for The Seven Stars and The Little Blue Smokehouse, Brighton.